Redhill Close is a small estate of 21 blocks of flats numbered 1 to 3 and 5 to 22. There is no block 4 found. Many would think this is due to the number being considered inauspicious for the Chinese, but the fact is block 4 was demolished to make way for the construction of a new road. Like the old Tiong Bahru flats, Redhill Close’s pinkish blocks, nicknamed “chek lau” (seven-storey in Hokkien), and designed with trapezoid roofs, curved-top facades and residential units at the ground floors, were built in 1955 by the Singapore Improvement Trust (SIT), which means they have witnessed the development of Redhill for 55 years. 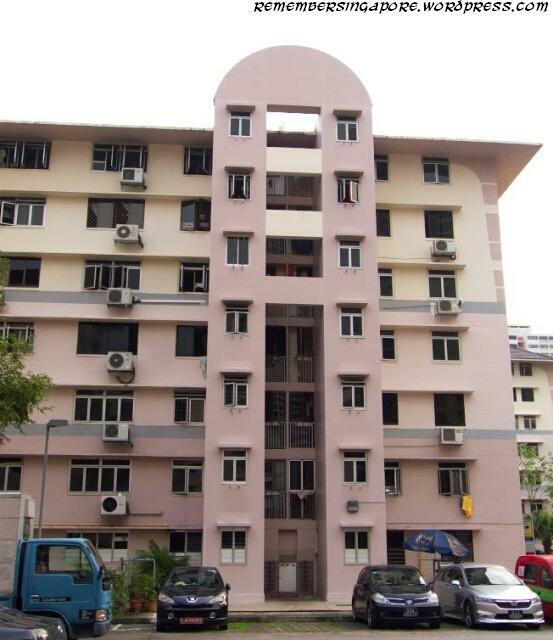 When the flats were first built, they were rented at a monthly rate of $52 to the residents previously living at the kampong in Redhill. This rental policy lasted until 1982, after which the flats were sold to their occupants so that the long-time residents could at last have their own units. The peaceful estate is located between the popular Redhill Market, famous for its satay bee hoon and prawn noodles, and the Bukit Merah Food Centre, which is on the other side of the busy Jalan Bukit Merah and serves delicious chicken rice, fishball noodles and fish soup. There is a famous Malay myth about how Redhill, or Bukit Merah (literally means hill red), got its name. In the past, the coast of Singapore was infested by fierce swordfish. The villagers and fishermen would be attacked if they ventured near the water. A little boy called Hang Nadim proposed a solution for the Sultan, which was to build barriers made of banana tree trunks along the affected coast. When the swordfish tried to attack the villagers again, their pointed beaks pierced through the barriers and were trapped immediately. The smart boy became popular among the villagers, inviting jealousy from the Sultan. Fearing his rule would be threatened in the future, he sent his soldiers to kill the boy who lived on top of a hill. The poor boy’s blood flew down the hill, soaking the whole hill red. Redhill, also fondly called ang sua by the Chinese, actually once referred to a larger hill at present-day Henderson estate. In fact, the whole Bukit Merah lies on a stretch of hilly plains, where the highest point is Mount Faber at 105m high. Years of development have seen the hill near Henderson trimmed down to the current size and the Malay kampongs replaced by the flats at Redhill Close in the fifties. A large part of the area at Redhill, Hendersen and Tanglin Halt were allocated for industrial use during the sixties. Glass manufactor, liquor distillery and food, garment and perfume factories once thrived here. 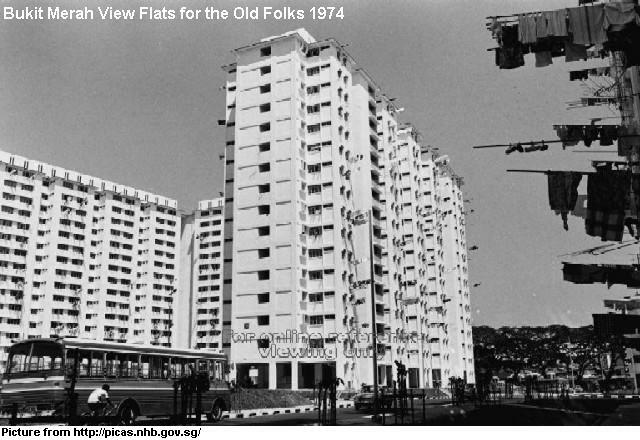 In the early seventies, HDB built many flats for the poor and old folks at Bukit Merah View, just beside Redhill Close separated by Hendersen Road. The one-roomed flats were fully subsidised by the social welfare service. 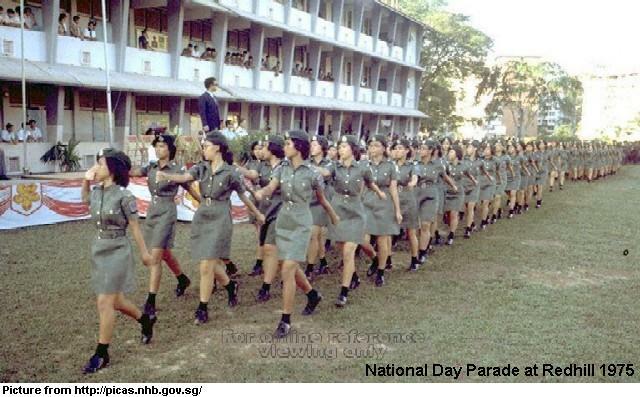 The National Day Parades (NDP), usually held at the Padang (1966-1974) and the National Stadium (1976-2006), were organised at decentralised locations in the period between 1975 to 1983. 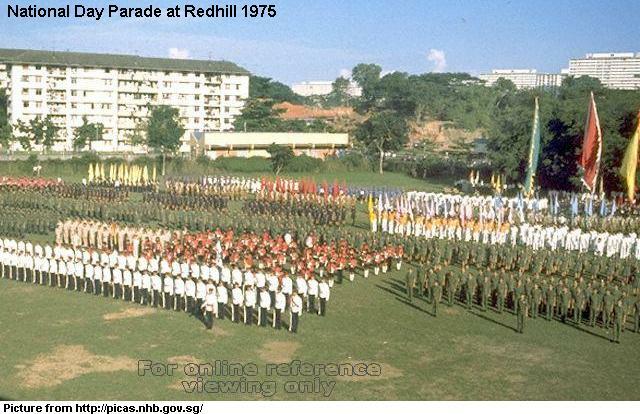 In 1975, Redhill was selected as one of the sites for the decentralised event for the NDP. The contingents of army, navy, air force, police and other uniform groups and unions assembled and marched on a big open field at Redhill. A stretch of the current 3.5km-long Jalan Bukit Merah, the main road here, was known as Silat Road in its early days. In 1924, The former Sikh Police Contingent built the Silat Road Sikh Temple (Gurdwara Sahib Silat Road) along the road, which has the largest Sikh temple dome in the world. It also houses the tombstone of the famous anti-British Sikh revolutionary Bhai Maharaj Singh Ji (died 1856), shifted to the temple from Singapore General Hospital (SGH) in 1966. During the Second War World, the Sikh Temple served as a refuge for Indian women and orphans. 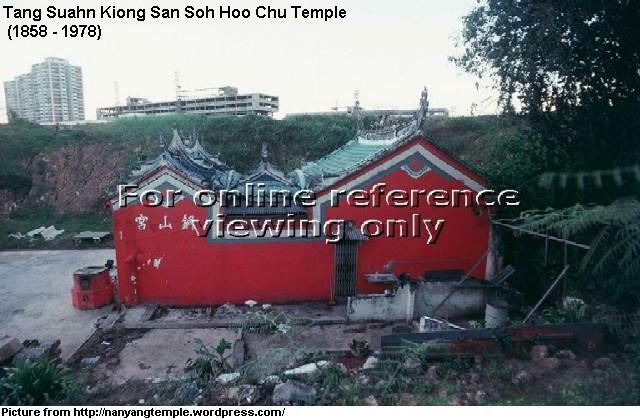 A small Chinese temple called Tang Suahn Kiong San Soh Hoo Chu Temple, previously the second oldest temple in Singapore after Thian Hock Keng Temple (built in 1842), once stood at Henderson Road, but it was torn down in 1978 to make way for a swimming pool. The temple trustees and devotees appealed to the authority without success to conserve the 120-year-old temple. It was built in 1858 and worshiped Kwan Kong, the God of War. Recently, the flats at Redhill Close are selected for the Selective En-bloc Redevelopment Scheme (SERS). The estate has gone through the Main Upgrading Programme (MUP) in the nineties, adding an extra space at the kitchen and having the lifts upgraded, but that cannot stop the prime residential land from being used for redevelopment. Many residents, most of them elderly, express sadness in having to move from the place they have called home for decades. Some of the prominent residents include the former samsui women who had contributed massively to the construction sector of Singapore from the fifties to the sixties. New replacement units at nearby Henderson Road will be prioritised for them. This entry was posted in Nostalgic and tagged Ang Sua, Chek Lau, Hang Nadim, Jalan Bukit Merah, Main Upgrading Programme, National Day Parade, Redhill Close, Selective En-bloc Redevelopment Scheme, Silat Road, Silat Road Sikh Temple, Singapore Improvement Trust, Tang Suahn Kiong San Soh Hoo Chu Temple. Bookmark the permalink. Yes, there was a glass factory there, around the present junction of Jln Bukit Merah and Henderson Road. And still can’t forget the push cart duck noodle stall along the main road. Very nice. I wonder if Redhill will become cool in the same way as the other SIT estate, Tiong Bahru, has been gentrified? Can we expect lattes and eggs benedict in Bukit Merah any time soon? Philip i am a resident of bukit merah area for the past 30 years and i would not like Redhill to be turn to a commercialisd area like Tiong Bahru. As it is , it is a small quiet enclave and meant to be so. I stay within the radius of 3.5 km. Probably Bukit Merah CC could expand a little bit after this. Are you sure Jin Bt Merah was known as Silat Road previously? I live in the Silat estate and there is still a Silat Road. Part of Jalan Bukit Merah (stretch opposite SGH) was formerly called Silat Road, where the Sikh Temple stands. The current Silat Road is a branch off from the former major road also named Silat Road. Thanks for the highlight, maybe I didn’t make it clear in the article (have done the update). Hi, any idea what is the background of the school-like building opposite the Silat Road Sikh Temple? Somehow the building looks intriguing and rather mysterious to me. Thank you in advance! We did our technical studies at Bukit Merah Secondary School during Sec 1 and Sec 2 although I studied at Gan Eng Seng School in Anson. I also stayed at blk 74! 1974-1984. This article brought back precious memories. Thx! I think a few blocks of flats at henderson are slated for en bloc but the business are still around. I wonder if these 1 room subsidized flats will still remain. the seven storey flat , a bus terminal for number 41. really missed those time. Thanks for sharing. I am staying around Bukit Merah area. It is sad to see these places go especially those redhill flat opposite Bukit Merah Central – Already, the old Regal Theatre is being torn down i think. Thanks for taking effort to share your write ups- it is indeed a blessing. 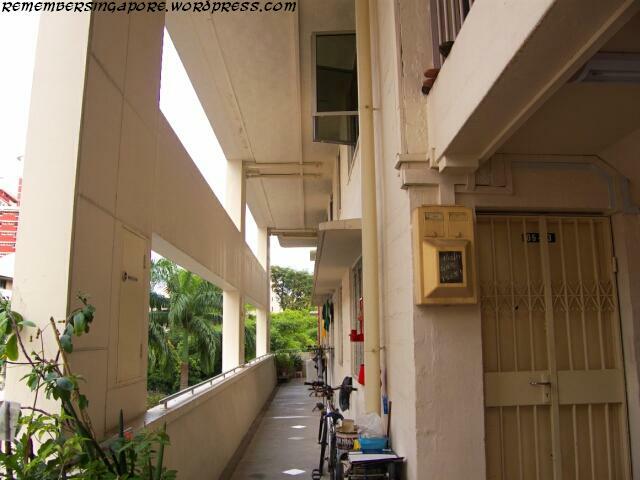 Should you need help in pictures (around Kampong Bahru or Telok Blangah area – do let me know. I would be happy to help if can. Cheers. I wonder which part of Henderson will there be relocated to? The whote stretch of Henderson(94 to 96) are earmarked for en-bloc also it seems. I stayed in one of the blocks as a young boy in the 50’s and 60’s. In those days pigs from the neigbouring squatter houses would wander around the estate leaving their poo behind. We had open air movies that charged 10 cents per show. I remembered there was also an old man that sold laksa carried on his back. The price for a bowl was 10 cents. Hock Lee bus service plies between Redhill Close and Chulia Street. Around August we would be flying, fighting and chasing kites around the estate. Those were fond memories……. mua chi seller with alot of metal made fan around his mobile stall. good old times ……. 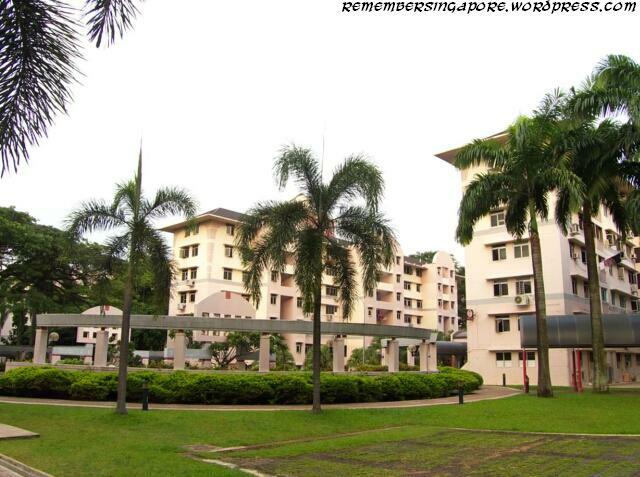 I used to stayed at blk 2 in the mid 50’s till early 70’s. My childhood are spent there. I really missed the hill opposite my house. At the top of the hill, there was a very huge temple (I was too young to know the name of this temple). During the the lunar 7th-month, a wayang would be staged at the foot of the hill for 2 to 3 days. All kind of street peddlers would sell their wares around that area, along the bukit merah road and stretched all the way to around blk 1, 2 & 3. The slope of the hill would be occupied by audience, usually packed in the night watching the wayang shows, sometimes got getai shows too. Yes, i do reminisce my childhood days in Redhill, playing plenty of childhood games – kites fighting, kuti kuti, hantam bola, big marbles, small marbles, rounders, hike and seek, and many many more. Wish to have taken photographs of the scenes of that era, unfortunately, most of us living in Redhill could ill afford a camera. Its all in memories…..sigh. The temple was Toa Peh Kong temple ( 大伯公 ）I spent my childhood days there from mid 50 to 70 too, stayed in Blk. 1 and studied in Redhill Primary. Those days were really unforgettable. We used to go catching fish in the small lonkang and ponds, fighting spiders, playing marbles and flying kites during the school holidays. And during the wayang period, I would walk across the mud road (before d proper road was build) and went under the wayang stage to buy fried chilli snails ( chute chut) n ice cream sticks and tikkam (like wheel of fortune where u manually turn an arrow in a wheel and where the arrow stop is your prize). Still can rmb during those days, hawkers used to sell their food either by carrying on their shoulders or tricycles. We would buy anything by shouting at them and buying whatever food by lowering a basket to them to collect or pay for the food (whichever floor u r staying). We were on the sixth. Though we were poor, we were happy. Still can rmb I used to walk with my childhood friend to King’s theatre to watch Buddha’s Palm（如来神掌.）and all the kungfu shows whenever we got money. Those really were the days! Hello LKW, Sound like we had crossed path in Redhill. Is there a “weng” in your initial? This link might clarify the names temples existing before redevelopment. Hi LKW/Peter, I know one of the “Wengs” in blk 1 was at 4th floor, middle stairs, and his family was doing electrical contract service and he has 5 or 6 brothers. As for the other Weng, I can remember a family at 2nd floor, blk 1, at corner stairs, where all the brothers’ center name are “Weng”. Are your referring to them? Yea peter, I know many childhood friends in Redhill, mainly in blk 1 & 2 then, however, had lost contacts for so long. The 4th storey weng and his younger brother used to play with us. On blk 1’s surrounding, I rmb a huge old tree behind blk 1 where some hawkers would station around it to sell their food in the afternoon. I used to buy malay curry puffs there and satays. The landscape of the redhill area during our time was so much nicer and tranquil. There were a lot of trees and grasses in between blocks then. OH yah HT, those were the good old carefree days. I rmb d good old laksa where d man carried his laksa pots on his shoulders n d Roti man whose kaya was one of d best. We used to play marbles , fighting spiders and flew kites during the school holidays. Yes, d big ficus tree behind our block had provided shelter n food for many ‘runaway’ birds and we managed to catch a number of them because of that tree. Hi LKW, do you still go back to Redhill? I do go back there for the food at the Redhill Market and whenever I pass by those blocks of flats, flashes of my time living there came into my mind. I recalled me and my brother picking up cigarette boxes in the small drain early in the morning to be used as token for some sort of childhood game. When we played hide and seek, we often run round the flat, along the common veranda at 3rd, 5th and 7th floor, jumped over enclosure at the 2nd floor to reach the ground floor or move to the middle stairs or the other end of the corner using the narrow the pathway outside. I reminisce the niffy smell of toufu making from the toufu house somewhere inside the the hill opposite block 1 and seeing pigs strolling around the hill and the mud roads along Jalan Bukit Merah. Recalling those happy memories helps to rejuvenate my mind and somewhat I feel blissful that I had lived there once. Yes HT, I had moved three times since my Redhill stay but whenever I dream of our ‘old’ house, Redhill is always in the dream instead of the rest. You can tell how the good the childhood days were. I still rmb collecting strings from discarded cement bags down the road. We would look for bottle caps and hammered it flat and grind the edges sharp and punch two holes near the center and pull the string through to spin it so as to cut opponent’s string. We also used to walk up the hill to pluck star fruit (the tree was in front of the temple) and ‘stealing’ guppies from the kampong folks pond. Yep, those were surely the good old days. If time can be reversed…, I will surely want to go back that era. Though poor, we were definately happy, carefree and stress free. Yeah, LKW, you have triggered my memories. I now remembered we went to that place by the side of Jalan Bukit Merah Road directly opposite the Redhill school to pick up the cement bag strings, there was 1, sometimes 2 old women there packing up the empty cement bags and tearing out the strings. We just waited there for them to do their job first, then took away the strings for use in our games mentioned in your comments. Actually the game of cutting each other’s strings attached to the flatten sharpened bottle cap was dangerous, I rmb my next door neighbor got a deep cut in his leg when he lost in the ‘fight’ and the flatten sharp cap flew out and hit his leg and my older brother also had a cut on his chest on under similar occurrence. I can recall about the surrounding of that place where we picked the strings. It was like a valley, surrounded by small hills on 3 sides, covered by low and high lying trees and grasses. We were at the foothill. There was a drain running through the ground, we used to play along the drain and catching the guppies in the drain. At times, we would climb to the top of the hill where there was a railway track and we would walk along the track and when we hear the sound of train approaching, we would back down and ran down the hill. There were so many other adventures and play things during our times in Redhill close. LKW, we surely must have met each other, where did you catch spider – at Tanglin road 789? did you fly kite at 7th floor, common varandah? did you play basketball – at Redhill school? did you play ping pong at Keng Seng Chinese School? Ah, Yes. The bus terminal. Later there was TAY KOH YAT bus, service no.10 and no. 7, I think. After some time, STC introduced 2 air-conditioned buses to Shenton Way. Could not remember the bus service no. Can only remember that we took the air-conditioned bus ride for leisure once or twice. Cost 20 cts per trip. However, those air-conditioned buses faced constant breakdown and were eventually stopped. Besides the wengs, do you know the family at blk 1ground floor corner unit who used to sell porridge, chee cheong fun, yam cakes, mee hoon in the morning? do you know of anyone in Blk 2? Yo LKW. Bingo!, confirmed know each other. I stayed at blk 2, 4th floor, next to corner, nearer to blk 1. It has been a long time. How are you, my friend?. I stumbled upon this blog only recently when I felt nostalgic for I knew that my first home is going to be demolished soon, gone forever. I penned some of my thoughts in the comments here and never expect that you too shared the thoughts and responded. Yes. I do patronize the titbits house at the ground floor. Directly above this unit, 2nd floor, are the “weng’s” whom I have mentioned earlier. I think their eldest brother married the eldest daughter of that titbits house. There was another titbits/sweets/tikam store just infront of blk 1, along the roadside, can you remember?. I used to buy cuttlefish in thick prawn paste there, wrapped in old newspaper. Well, the food was very good but the hygiene, by today’s standard, was very unhealthy. But who bothers, then!. During that time, most hawkers and food handlers used their bared hands to pick the food and the food were wrapped in old newspapers, phone directory page, leaf (banana leaf, simpoh air leaf,opeh leaf) and exercise book page. I also recalled I bought bubble gum many a time from this store. Each bubble gum pack came with a Hollywood movie star photo card. When you were able to accumulate a full range of 36 cards of different stars, you could redeem some very exclusive gift or cash (can’t remember which). By the time I managed to accumulate the full series of photos, the redemption period was already over. To this day, I still have those cards but do not know where I have kept them and I regretted spending my meagre pocket money on those stupid cards.Ha Ha. U r right on HT, maybe we knew each other through ‘Weng’. Time really flies ‘岁月不饶人’. Except some chronic illnesses, I m still ok. Well, a person passed 60 cannot ask for too much. How abt u my ‘lost n found friend’?. It has been 50 yrs! Nevertheless , it’s so nice that we both chanced upon this article to reminisce the good old days (in fact I was 3 to 4 yrs late based on the article first published). Really appreciate those who had contributed their memories and pics. to this article. U mentioned abt d roadside stalls. Yes! I rmb buying ‘ice ball’ from one of d stalls. Yes, I also collected d ‘ang kong jua’ which I would exchange with my friends for idols that I like. I read that the Redhill residents can move to their new flats in 2017. Therefore given 2 to 3 years time frame, the Redhill flats there will be gone by the year 2020. LKW, you are right that when you reach 60s, there will be health issues cropping up. I too was diagnosed with the 3 highs – blood sugar, blood pressure and colesterol a year ago. It all under control now and I do a lot of sports nowadays. Sure I remembered the indian barber and he really took a long long time to cut your hair, more that half hour. I became unbearable sitting on the stool and started to twitch my head and he would force hold my head with his other hand and continued his job. I think he charged 50cts per head. I particularly like the shaving part of the haircut, felt so fresh and clean when it was done. Sometimes, I just wonder where are those childhood friends we once knew and how are they doing. A lot of nostalgic moments on the thoughts of them. I had in fact accepted the fact that 3 high ( cholesterol,sugar n blood pressure) is now one of the ‘ in thing’ of the century. I got my 3 high more than 10 yrs ago, and still taking medication except for the high sugar lvl. Got 3 stents inserted in my heart’s 3 main ‘expressways’ in 2008. Yes, exercise is one of the ways in controlling them. I also retired from working in order to reduce some stress. Those days, the barber was really something. Imagine you even have to supply your own ‘barber chair’, and the cost was $0.50 cts for a haircut whereby a bowl of wanton noodle at that time cost $0.30 cts. Now, the cheapest barber (aircondioned) cost $3.80 compare to a bowl of wanton noodle that cost at least $3.50. Yeah, HT, I believe that at least 90% of our childhood friends are still arnd, less for those who had ‘migrated’ one way or another..
Anyways, even if we meet any on the streets, I don’t think we could recognize each other after not seeing for long 50 yrs! No matter what happens, all those good memories will always be in our hearts. Hi LKW, thanks for your good wishes. I do have friends having the same health condition as you and they are living well. So you are not alone. I believed you are well and fit as you still can recall your childhood time some 50 years ago. For me, I am still working but at a much slower pace, therefore, I now use some spare time to browse through the nostalgic blogs of Singapore on knowing that a lot of old places of Singapore were gone or are going to be vanished soon. The Yan Kit swimming pool, the River Valley swimming pool where we used to frequent on sundays were all gone. The cinemas – Oriental, Kings, Majestic, Metropole, Venus, Golden city, Sky, Atlantic,Canton, Globe where we used to see our shows were all demolished. The amusment parks – Great World, New World and Gay World where we used to patronized during chinese new year period, were no longer around. Great memories of those places during our time there. LKW, I am leaving my email address here, lamhtlam@hotmail.com, maybe we can share and reminisce our time in Redhill Close. It is a special place in our hearts and memories. There is a Chinese temple located on a steep hill in the Jalan Bukit Merah flats that I used to go and you have to drive or walk up a steep road to reach it. If there was a Block 4, could it be standing at where SPC petrol station is now (yellow circle)? Yap, Blk 4 was definitely around some where, the question is where?? Block 4 used to be a row of provisional shop. The exact location is where the sub-station is at now just beside Block 7. From the neighbours, Blk 4 is located between between SPC (yellow oval) and Blk 5/7. inc one coffee shop at one end of the building. Managed to get a 1972 street directory. This should shed some light in the mystery. Street directories back then weren’t drawn in detail. The flats were not shown even though we know there were already there. But comparing how Redhill Close changed, my guess is that Blk 4 should be between SPC and Blks 5 & 7. Block 4 was a row of single storey shop houses. It was up a little slope where the no 8 Hock Lee bus had its terminus. The corner coffee shop was famous for its wan ton mee. I lived for 20 years in Ang Sua and moved out in 1972. Remember the guy who used to rent bicycles; also the tow kua seller next to coffeeshop (near market), only $0.10 best in the world and travelling tau suan seller, you lower your basket to buy, and also wayang. Yes! U hv a very good memory GR. D wanton mee, tau kua and also d hainanese pork porridge were the best. How I wish we hv some of d old photos to bring back those fond memories. That Tau Kua stall was my favourite. They actually moved to the Redhill Market hawker centre and I had continue to patronize them until sometime in 2011/2012 when they totally gave up. By the side of the Tau Kua stall was a fish ball noodle stall, its was selling 10cts per bowl. Their stall is still at the Redhill Market Hawker Centre, one of the sons is managing it. There was also a fruit seller whose starfruit drink was the best in the world. Its strong sour-sweet taste and its freezing coldness could make your head spin. its extinct now. well for curiosity sake, go ask ard your neighbours who had been living since the 50s. I think it might be, what I remembered, a row of 1 storey shophouses with not mistaken, a laundary shop located but that was a long long time ago. somewhere between 60s and 70s. Eactly at the yellow circle.Could it be that blk 4? I was then a very small kid. I did a malay dance in the kindergarten. My mum owed a provision stall in the old Redhill Market which was demolished and replaced by the current one. The chicken sellers would slaughter their chicken live and it was a noisy and lively place. A pity that the 7 storey pinkish flat would soon be gone. I would consider them the modern day “slum” of Singapore, not in a derogatory sense, but that they serve the lowest strata of society. (My family used to live in one room flats) It is really small inside. I am proud that these are so well maintained. These should not be demolished. They can be converted into studio apartments for small families like those in Tiong Bahru. My friend lived there once and his flat caught fire. He stayed with us for sometime while the flat was being repaired/renovated. 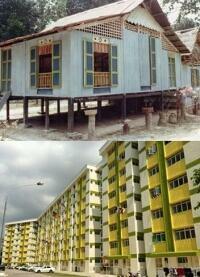 Some old photos of Jalan Bukit Merah and Redhill Close…. This photograph must have been taken in the 1990s when the MUP was taking place. The facade walls seen on a few blocks of the flats in the center of the photograph was an addition during the MUP. The last picture is a mirror image. It should be Flipped horizontally to get the right orientation. 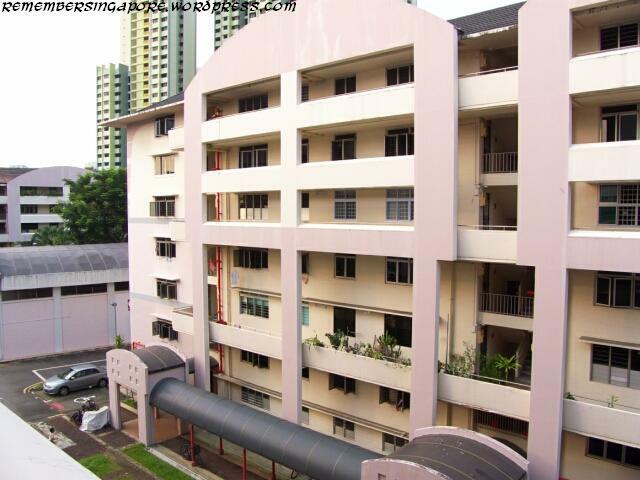 The 1st building beside the road is Blk 1, then Blk 2 and a little bit of blk3. I am very happy to see these photos posted and I will dream …..good old times THANK YOU ! AND MERRY CHRISTMAS. i am glad to inform you that i located on very vague site plan showing block 4! The old Redhill Close map in the website shows the estate in the 50s and 60s with the old market and 4 single-storey blocks of shops. Block 4 is the curved shape block near block 5. The other 3 blocks are near the old market. There were single-storey blocks of houses around the market. They were demolished to make way for the high-rise HDB flats around Redhill Rd and Jln Tiong. The 3 primary schools in the map were Bukit Merah South, Bukit Merah North and Redhill School. 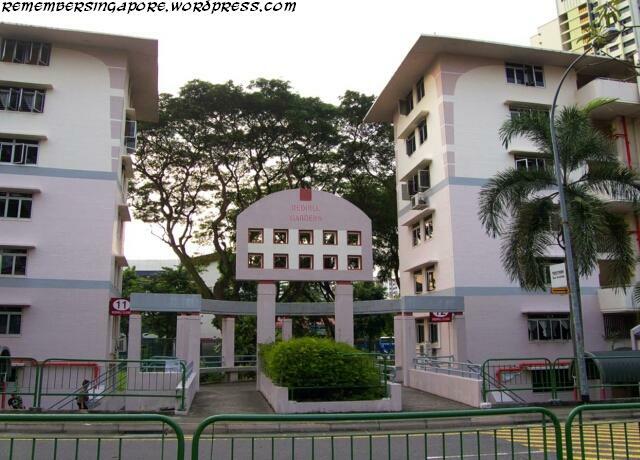 They were demolished and Gan Eng Seng Primary School is now located. Back then Jalan Bukit Merah was just a laterite track that connected Henderson Rd and Alexandra Rd. Thank you for the information! I managed to track down the building’s identity, yes it is the old silat primary school which later merged with zhangde pri. Then the building was occupied by nanyang poly’s school of health sciences. A pity that they have to make way for further development sooner or later. actually…. I still remember seeing it, the coffee shop……. then one day the corner is gone….. the rate of change is faster than my brain neurons. Hi, I used to live in Redhill in the 60s-70s. All your comments brought back fond memories (and some not so happy). I’m planning to do a heritage tour of Redhill in July based on a story I wrote for the Anthology Balik Kampong. I was doing research when I came upon this website. There used to be a small Chinese temple under the foot of SGH that was burned down (now it is just grass and a SGH signage there), i think it is at a junction further down Silat Road. Anyone know it’s name? 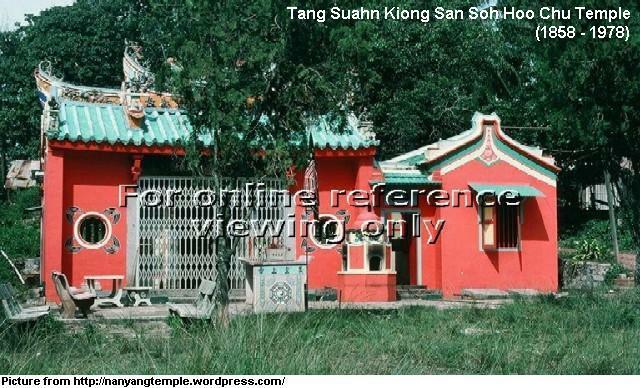 The name of the temple was Tan Suah keong something like that. It was dedicated to Kwan Kong. It was on Henderson road not Redhill close. Deity Kwan Kong said he did not want to leave. The management had no choice but to fight Liu Tai Kerr and his urban renewal plans. An international weekly publication had the headline “Kuan Yew v Kuan Kong”. The Sng brothers who owned the title deeds of the large tract of land (9 acres??) up to the railway, offered to donate the land in exchange for the temple staying. This was refused. Some Australian architects who were drawn to the temple presented plans (FOC) showing three ways how the temple could be left alone with suggestions for alternative repositioning of the filtration plant of the pool that supposedly was the problem. The plans were rejected, most likely unread and I heard that the architect or architects had their work permits revoked. The ISD was monitoring all visitors. The temple survived for 5 more years under stressful circumstances. Finally a commando style police raid with riot squad arrested the owners, and devotees , removed the statues and completed the demolishing within a few hours. This is the only case i know of a temple in Singapore resisting the demands of the authorities to quit. Btw I am happy to see my photos “borrowed” from the NAS being used. But an acknowledgement would have been more proper not to say polite. The SGH temple was the Hang San Teng , Silat road. Read about it in Leon Combers Chinese temples in Sing… An interesting anecdote about the wild tigers in the surrounding hills being interested in the wayang show percussion instruments, and the consequence of several temple caretakers being dragged away and eaten. Thus the committee decided to ban opera shows from the 1890s . This was a truly beautiful temple before the fire..
Do u have any pictures of the bukit merah south school? Pls share! Thanks! I’m also from Bukit Merah South School…. we have a Facebook page under the same name….. There is 4 more blocks (87,88,89,90) in Redhill Close. This is a very good article. Definitely bring back lots of childhood memories. I have been living at Redhill area for more than 35 years. I studied Redhill Pri School from 1980 to 1985. My son is attending Gan Eng Seng Pri School where it was previously occupied by Redhill Pri School. I often told my son of my childhood spent in Redhill. This is my home, my childhood and my life. I am doing my research in Tiong Bahru and by chance read into the whole area and realized this area used to be a old disused cemetery know as 仁记山 since 1920s ( area bounded by Alexandra road, leng kee road, Tiong Bahru road,Kim Pong Road and the old railway track, graves might be scattered only mark as ‘Chinese Cemetery’ on old records ) by Hokkian Huay Kuang according to old records. Quite interesting as many younger generations, like myself may not even know if not of some research work done. Noticed that these blocks were just painted with new colours not too long ago…this suggests that they might not be demolished after residents vacate…May be conserved in the next 1-2 years. Thank you Remembering Singapore. It takes great effort and considerable time to do a write-up of thing/place/people of the past. Really appreciate your work. It has been almost 46 years since I moved out of Redhill Close, which was my first home and the place where I spent most of childhood there. Till today, I can still remember the scenes and surroundings of the place of that time. I do not posses any photos of my time there yet I do hope someone does, and to upload it for sharing in this platform. Though much had changed since my time there but the main structure and unique features of the flats remained the same. It was so sad to see it go just like losing someone close to you. Some 80s photos of the old Bukit Merah…. Thanks for the photos. Any photos of Redhill Close between the late 60s and mid 70s, in particular the hill where a temple sat at the hill top. Thanks. Hi HT, I guess you are referring to the 1000 Buddhas Temple on Mount Faber? Hi Remember Singapore. 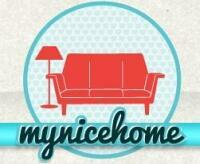 I’m glad to have come across this site. Its very interesting to find out some of the answers I was looking for. You see I grew up in the old Silat Road kampong which was actually stretches from the long gone Chinese Temple at the Junction of Kampong Bahru Road (beside the Silat School which is opposite the Sikh Temple) all the way to the junction of Kim Tian Road just a little after the Thai Buddhist Temple. This was up till the late 1960s when the road was extended to join what is now Jalan Bukit Merah (aka Si Kah Teng). This particular location is where the HDB flats was fist built to house the migrating kampong dwellers to the HDB flats, and my family was one of them relocated to Blk 110 which still stands today. Having living there for some 30 years it really brings back memories of playing and living close to the cemetery, meters from the tomb stones and playing on the railway tracks and stealing showers in the communal bath rooms at the Hospital quarters near by. Also not forgetting playing in the school grounds of the Chiang Teck Chinese School too. Thanks again for you effort which is truly admirable. Can anyone remember the single storey terrace houses in Red hill road? I hope one can tell me when they were built and demolished. Remember Singapore, HT was talking about the hill, the foot of which STC and Tay Kor Yat bus terminals once stood. Beside it was Pun Soh Por. The hill was just in front of Blk 2 and was leveled down to make way for Redhill Town Centre. Wow. what a surprise, My comments was made in 2016. Good to know older folks in Redhill still remember. You must have been staying in Redhill previously or are you currently still staying there?. Surely someone should have the photos of that temple.